Crafters need a special mix of alloys to get a smooth and clean solder bead for glass work. This 60% tin and 40% lead solder has a melting point of approximately 650°F–700°F (343°C–371°C) and cools with a shiny bead. Best for working with copper foil. 0.125 diameter. 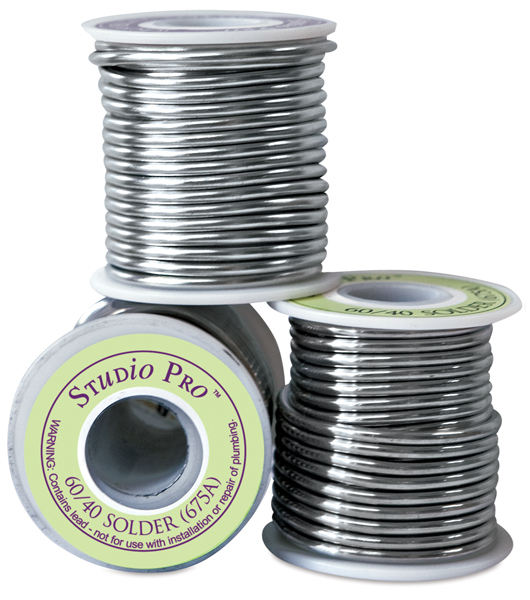 Solder comes in a single, 1 lb spool.